Honor our past and all those visionary, courageous women who have come before us! American Baptist Women's Ministries has been led by a series of national presidents, each bringing her own God-given strengths and passions to the organization, raised up for leadership "for such a time as this." For a list of the national presidents who have served in ministry with American Baptist women, click here. American Baptist Women's Ministries has also been led by a series of executive directors, who have each provided vision and support to the ministry, empowering women and girls in leadership and helping the organization discern God's call for it in each time period. For a list of the executive directors who have served in ministry with American Baptist women, click here. Continue the celebration throughout the year by joining American Baptist Women's Ministries at Women's Day on Friday, June 21, 2019, in Virginia Beach. Devotions from HERstory: 31 Days with Women of Faith by Lynn Domina honors many women who have come before us by connecting their stories across time as a resource for our own devotional lives. It was originally intended for the 31 days of Women’s History Month, but these undated entries permit readers to begin these devotions at any time of the year. 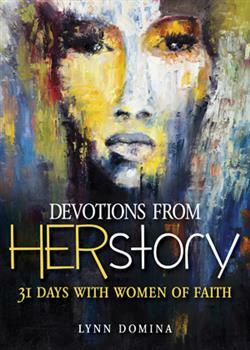 Each day’s devotion features an illustration and brief biographical sketch of the featured woman, a Scripture that connects a biblical woman’s story with a more recent “HERstory,” as well as a prayer-poem, a question for personal meditation or group conversation, and an idea for action inspired by the women’s stories. The biblical women of faith are primarily Hebrew or early Christian women but also include Egyptians and Samaritans. The historic women with whom they are paired include women of many faith traditions, as well as various ethnic and national backgrounds. From the medieval mystic Julian of Norwich to the contemporary Supreme Court Justice Sonia Sotomayor, the women herein offer today’s readers inspiring models for the life of faith today. Click here to order and use ABWHER promo code for 30% off!